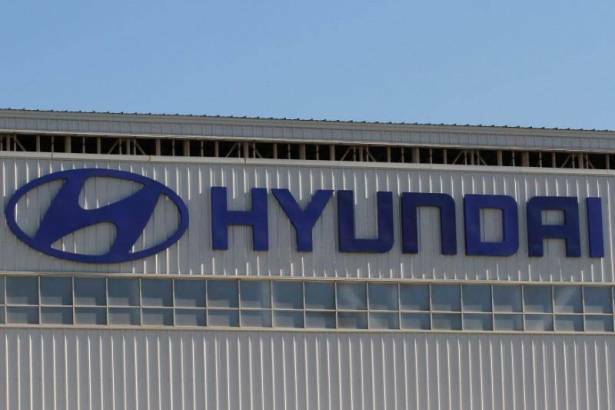 Hyundai Motor plans to launch a pickup truck in the United States as part of a broader plan to catch up with a shift away from sedans in one of the Korean automaker's most important markets, a senior company executive told Reuters. Michael J. O'Brien, vice president of corporate and product planning at Hyundai's U.S. unit, said Hyundai's top management has given the green light for development of a pickup truck similar to a show vehicle called the Santa Cruz that U.S. Hyundai executives unveiled in 2015. O'Brien also said Hyundai plans to launch a small SUV called the Kona in the United States later this year. People familiar with the automaker's plans said the pick-up truck is expected to be launched in 2020. So-called crossovers - sport utilities built on chassis similar to sedans - now account for about 30 percent of total light vehicle sales in the United States. Consumers in China, the world's largest auto market, are also substituting car-based SUVs for sedans. Hyundai's U.S. dealers have pushed the company to invest more aggressively in SUVs and trucks as demand for sedans such as the midsize Sonata and the smaller Elantra has waned. "We are optimistic about the future," said Scott Fink, chief executive of Hyundai of New Port Richey, Florida, which is Hyundai's biggest U.S. dealer. "But we are disappointed that we don't have the products today." Hyundai's U.S. sales are down nearly 11 percent this year through July 31, worse than the overall 2.9 percent decline in U.S. car and light truck sales. Sales of the Sonata, once a pillar of Hyundai's U.S. franchise, have fallen 30 percent through the first seven months of 2017. In contrast, sales of Hyundai's current SUV lineup are up 11 percent for the first seven months of this year. "Our glasses are fairly clean," O'Brien said. "We understand where we have a shortfall."